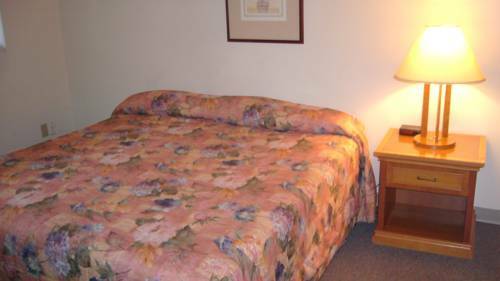 Welcome to Americas Best Value Inn and Suites Tukwila-SeaTac Airport-an all suites hotel conveniently located near the I-5 and I-405 interchange and approximately 5 miles northeast of SeaTac International Airport. We invite our guests to enjoy our free continental breakfast and coffee in our lobby. Have a delicious meal off the BBQ truck that comes Monday thru Friday. Stay connected with free wireless high-speed Internet access in our common areas and guest rooms. Step into the privacy of your own suite with amenities including a full kitchen-cable TV with ESPN-desk with lamp-clock radio-balcony or patio-free local calls and wake-up service. Each of our full kitchens features a full sized refrigerator-stove-microwave and coffeemaker. Most of our full kitchens also offer dishes-glasses-silverware-a pot and a pan. Children age 11 and younger stay free in their parent*s room with existing bedding. Smoking rooms are available upon request at time of booking. Sorry no pets are allowed. Tukwila and the surrounding area serve as the headquarters for several corporations such as The Boeing Company-Microsoft and Starbucks. Our Tukwila hotel is situated near Southcenter Mall which is the Puget Sound areas largest shopping complex. Enjoy a day of shopping-a movie or a delicious meal at one of many restaurants located in the mall such as Bahama Breeze-The Olive Garden or the Cheesecake Factory. Take a short drive into Downtown Seattle and visit the spectacular Space Needle or the historic Northwest Seaport. Step back in time and view the history of aviation with a trip to the Museum of Flight. Enjoy swimming at nearby Lake Sammamish State Park which has one of the largest fresh water beaches in the greater Seattle area. Try your luck at Riverside Casino or Great American Casino. At Americas Best Value Inn and Suites Tukwila/SeaTac Airport We have Got You Covered from the time you hit the road until your head hits the pillow. Americas Best Value Inn and Suites Tukwila-SeaTac Airport is conveniently located near the I-5 and I-405 interchange and approximately 5 miles northeast of SeaTac International Airport. Our address is 14800 Interurban Avenue South-Tukwila-WA 98168.